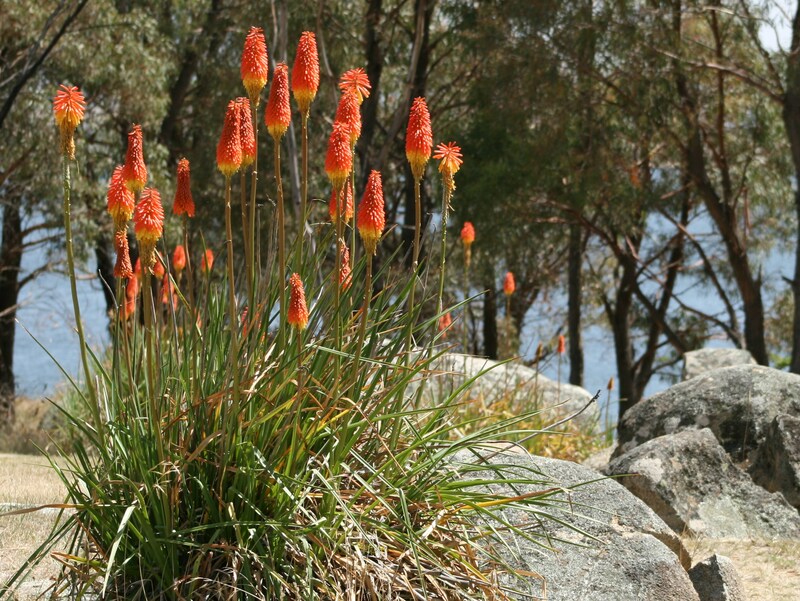 Kniphofia uvaria (redhot poker) is a perennial herb/ (family Liliaceae) with red to yellow flowers and long narrow grasslike leaves found in the coastal ranges of California. It is native to South Africa. It favors bog and marsh, riparian and bottomland, and scrub and chaparral habitats. It produces seeds and spreads by rhizomes. The seeds are dispersed by wind.